Superdry women’s Patent purse. 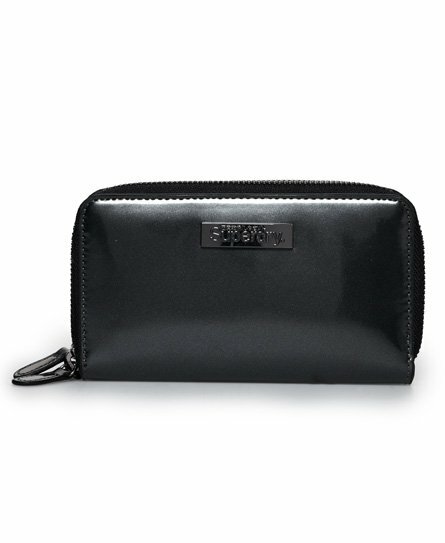 This purse features two zip fastened compartments, one compartment consists of ten card slots and the other compartment for coins and notes. The patent purse has been finished with a Superdry badge on one side of the purse and a debossed Superdry logo on the other.